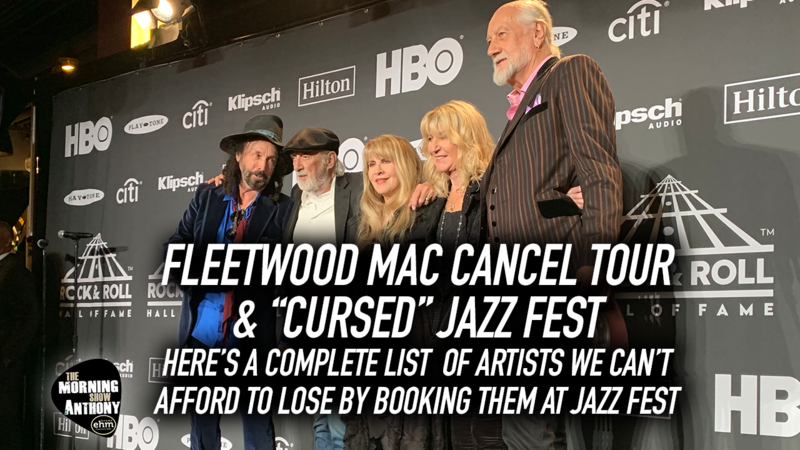 Fleetwood Mac Cancel Tour and Jazz Fest: Is Jazz Fest Cursed? Last week, it was announced that Fleetwood Mac would replace The Rolling Stones at this year's New Orleans Jazz & Heritage Festival while Mick Jagger recovers from surgery. Well, now the festival needs yet another new headline act: Fleetwood Mac has had to drop out for medical reasons, too.